It may seem obvious that a brand owner can claim rights in a trademark only when it has used the mark in a “lawful” manner. The issue of lawful use does not arise often, but it can be perilous for valuable brands not used in compliance with federal regulations. The Trademark Trial and Appeal Board (TTAB) recently held that a wine producer’s failure to obtain a Certificate of Label Approval (COLA) from the U.S. Department of the Treasury Alcohol and Tobacco Tax and Trade Bureau meant its use of the mark did not satisfy the “lawful use in commerce” requirement for trademark registration. 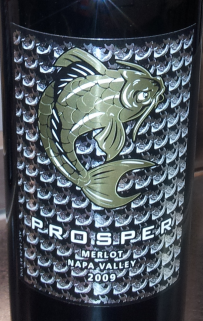 John Gregory Lawson, of Napa, California, had obtained a geographically unrestricted registration of the mark PROSPER for “wine” based on an application filed February 29, 2012. 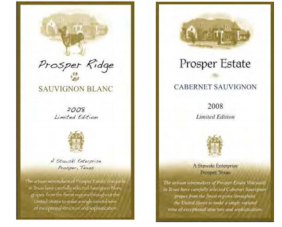 Scott Stawski, of Prosper, Texas, thereafter sought a concurrent use registration for PROSPER ESTATE and PROSPER RIDGE for “wines” restricted to Texas and nine other states where he claimed to have used his marks before February 29, 2012, or which were “in his natural zone of expansion,” and where he alleged Lawson had no sales. A concurrent registration essentially divides a federal registration in a mark to different owners when for example, they are in different geographic areas or channels of trade. Normally, concurrent use rights may be claimed (1) when a mark was in lawful use in commerce in a different geographic area before the filing date of an application for the same mark that matured into an existing registration, and (2) the geographic split would be sufficient to avoid a likelihood of confusion. Significantly, the TTAB flatly held that a COLA certificate is a necessary prerequisite to lawful use in commerce. Thus, there was no way that Stawski could have established trademark rights before 2017 when he got his COLA certificate, five years after Lawson’s 2012 application date. Likelihood of Confusion. The TTAB also concluded that even if there were a geographic division of territories, the parties would still have overlapping classes of customers susceptible to confusion because of the similarity of the parties’ marks used on identical goods. Therefore, the TTAB refused Stawski’s requested concurrent registration. It clearly stated that you must get your COLA certificate before you can claim lawful use in commerce of a wine trademark. Author’s Note: Trademark examining attorneys are instructed not to question whether an applicant’s use of a mark was “lawful.” So the COLA issue usually arises only when there is a question of priority of use, which is when it can be most important. Presumably, the TTAB would apply the COLA requirement to all alcoholic beverage trademarks, not just to those for wine.